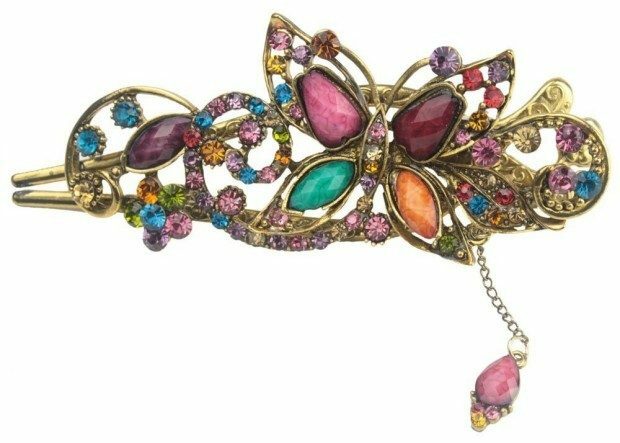 Vintage Crystal Butterfly Hair Clip Only $2.99 With FREE Shipping! You are here: Home / Great Deals / Amazon Deals / Vintage Crystal Butterfly Hair Clip Only $2.99 With FREE Shipping! Right now you can snag this great deal at Amazon! You can get this beautiful Vintage Crystal Butterfly Hair Clip for only $2.99 with FREE shipping!